The first anniversary show on May 2 will be dedicated to Doro and the Classic Night Orchestra. Accompanied by brass, strings and her band, Doro will perform her most beautiful, emotional ballads like “Für Immer”, “1000x Gelebt” and “Let Love Rain On Me” in the stylish surroundings of CCD Stadthalle. On this night, big hits like “All We Are”, “Metal Tango” and “Burn It Up” will receive a classical overhaul by the orchestra. Fans have been waiting for this to happen for the past ten years, since Doro’s last performance with the Classic Night Orchestra was in 2004, after her album “Classic Diamonds” was praised by fans and critics alike. 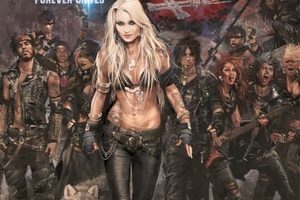 At the second anniversary show on May 3, Doro will travel through all 30 years of her incredibly successful career, delivering a three-hour, high-voltage set with all things rock and roll she has to offer. Fans can look forward to all hits, hymns and many surprises. At both shows, Doro will welcome several fantastic guests, including Biff Byford (SAXON), Chris Caffery (TRANS-SIBERIAN ORCHESTRA, SAVATAGE), Udo Dirkschneider (U.D.O., ex-ACCEPT) and Hansi Kürsch (BLIND GUARDIAN). As a special offer to the fans, Relexa Hotel will provide a shuttle service from the hotel to CCD-Halle and back. Rooms can be booked at +49 (0)2102 4580. Tickets for both shows are available separately or combined with a discount at all known pre-sale shops and at www.metaltix.com from €49.00.